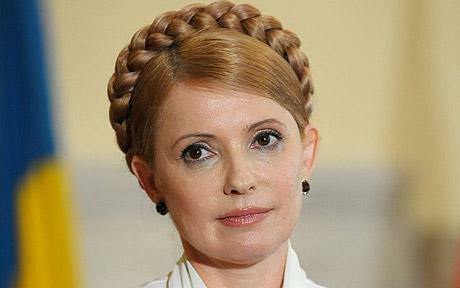 Ukraine's Yulia Tymoshenko took the title of 'hottest leader in the world' according to blogging site Hottest Heads of State. Gordon Brown has come 84th in a list of the world's 'hottest' leaders, trailing Barack Obama, Silvio Berlusconi and Nicolas Sarkozy. The Ukrainian leader topped the list of 172 leaders, ahead of second-place Jens Stoltenberg of Norway and King Jigme Khesar Namgyel Wangchuck of Bhutan. US President Mr Obama was the highest-ranked leader of any G8 nation at 15, while Russia's Vladimir Putin came 18th. Italy's Mr Berlusconi ranked 65th while Mr Sarkozy, France's president, was rate 28th hottest. The creators of the website, 'Derek', 'Kate' and 'J.D.' said: "For too long, citizens of the world have suffered under the tyranny of unattractive leaders. "Some people say that this is just the way things are: unattractive people have a death grip on the levers of power that will never be loosened. We say: Not with that attitude it won't. "By ranking the world's leaders by looks, we hope to heighten voter awareness of this problem and shame the citizens of countries with unattractive leaders into rising up and staging coups or something."